JSE specialist shopping centre REIT, Hyprop, continued delivering strong growth in a tough economy with a total dividend per share of 756,5 cents for the year to June 2018, which was 8,8% higher than last year. Growthpoint Properties, the leading JSE-listed international property company, has commenced excavation for its new 35,000sqm premium-grade office development in Rosebank, called 144 Oxford. 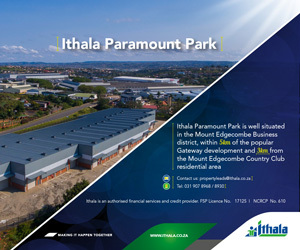 JSE-listed diversified real estate investment trust Redefine Properties, better known for its retail, industrial and office holdings, have commenced on the ZAR426 million residential development Park Central. JSE specialist shopping centre REIT, Hyprop Investments (“Hyprop”), continued meeting strong distribution growth forecasts despite a tough economy, with a total dividend of 695,1 cents per share for the year to June 2017, up 12,1% on the prior year. JSE-listed diversified real estate investment trust Redefine Properties (JSE: RDF) has announced plans for Rosebank Link, a new 15 storey office tower located at 173 Oxford Road in the heart of bustling and cosmopolitan Rosebank. Specialist shopping centre REIT, Hyprop reported double-digit growth for the year ended 30 June 2016 off the back of its defensive quality shopping centre portfolio. Rosebank’s first food court, a 2 000m2 indoor food emporium on the first floor of The Zone @ Rosebank has opened. It offers panoramic views over western Johannesburg, and a balcony on Oxford Road. Reporting healthy growth in returns, Hyprop Investments Limited today announced an interim dividend of 262.7 cents per share for the six months to December 2014, up 13.7% on December 2013.